Non Return Valves There are 2 products. 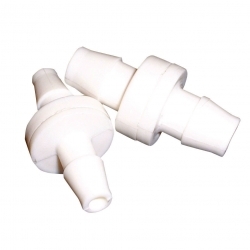 1/4" non return valves, for use with 1/4" tube, packet of 5. 3/8" non return valves, for use with 3/8" tube, packet of 5.